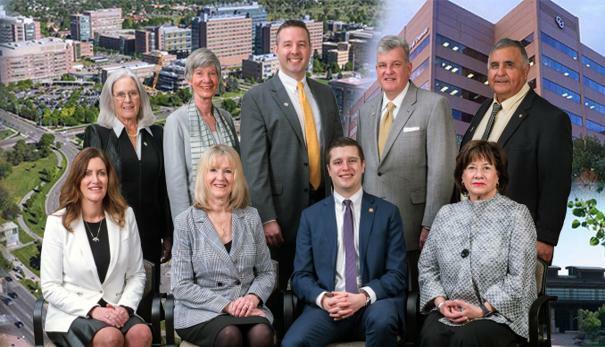 The CU Board of Regents approved a three percent merit-based compensation pool increase for faculty, officers and exempt professionals during regular session April 5 at the CU system office in Denver. Classified employees will receive a three percent across-the-board increase and revised pay ranges for select job classifications. Most of the regent discussion during the finance committee report focused on tuition and fees, which included no rate increase for undergraduate in-state tuition. Eight of the nine regents voted in favor of the compensation measure. There was one abstention, Jack Kroll, D-Denver, who is an employee at CU Boulder. The Regents approved two appointments with tenure during the consent agenda for Kevin Laudner, incoming dean of the Helen and Arthur E. Johnson Beth-El College of Nursing and Health Sciences, and Don Rabern, incoming dean of the College of Engineering and Applied Science.